We all have our own ways of getting comfortable. Some of us like lying across the floor; some of us love sitting up. The right position is a personal thing and we all strive to make ourselves as comfy as possible. Sadly, that’s often the challenge faced when sitting on a chair or sofa – how do you get the most out of it without aching or fidgeting? Luckily, theLetsLaze™ inflatable sofa is designed to counter that problem. Its ergonomic design is flexible to whatever position you want. Here are 3 fab ways to experience your new travel buddy! 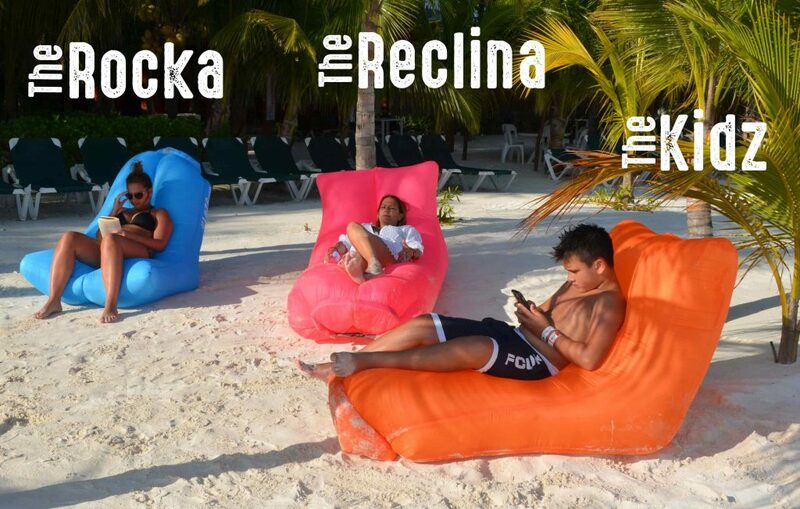 For some, the ‘Reclina’ position is best. Just put your feet up and lie back of your air lounger, enjoying the satisfying plush head rest while you read your favourite book or sip on your favourite cocktail. Maybe you’re more of a ‘Rocka’, sitting upright while swaying in your inflatable lounger, keeping yourself moving while watching television or enjoying a majestic view. Of course, the LetsLaze is perfect for the ‘Kidz’, who love inflating and deflating it for hours of relaxation and fun. Of course, it isn’t just for resting, and can be used for splashing about in the water on the beach or a swimming pool, too! Whichever way you want to use this air sofa, we guaranteed you won’t find another inflatable product that is as versatile and enjoyable as this.